The people at the Human Genome Organization are looking into using mice to replicate cancer tissue to help improve treatment of pancreatic cancer. This has an advantage of letting doctors make some mistakes on the mice before treating a human subject. 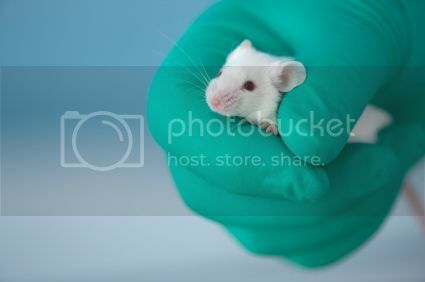 In one example of this approach, Australian researches from the University of Queensland and the Australian Pancreatic Cancer Genome Initiative xenografted a piece of a patient's tumor onto a few mice to see how it would react to an experimental drug called mitomycin C. After the drug was applied, the tumors shrunk considerably, but unfortunately the patient died before it could be administered to him. Obviously, there are some animal rights concerns here, but research shows that very few pancreatic cancer patients survive more than 5 years and standard treatment with a drug called gemcitabine extends a patient's life expectancy by about a year. When dealing with an illness this serious, testing on mice may just be the lesser of two evils.